The prices of Surface Pro tablet has been reduced by $100 this weekend, a few days after Microsoft revealed that more money has been spent by the company on the marketing of in-house tablet than the revenue it has generated. The discounts, which were first revealed by The Verge, cut the cost of 128GB and 64GB tablets of Microsoft to $899 and $799 respectively. These discounts have been announced 3 weeks after Microsoft reduced the price of the Surface RT tablets by 30%. 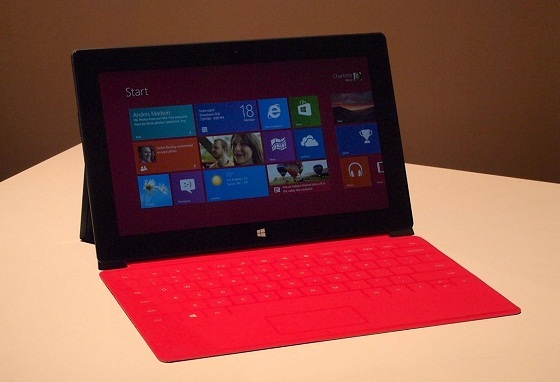 Surface RT tablets sales, which debuted during last October, have been observed as expected. On Tuesday, the technology giant revealed that it has generated the revenue of $853 million from the Surface tablets since they debuted during last fall. However, this figure is less than $900 million, which Microsoft paid for the inventory adjustments of Surface RT. Also, it is less than $898 million that Microsoft had to pay for the advertising of Surface and Windows 8. Although Microsoft unveiled the revenue it made from Surface tablets, the company did not reveal the number of units it sold. Also, Microsoft did not specify the individual income either from its Surface Pro or the Surface RT tablets. Bloomberg, in March, published a reported that Microsoft probably sold about 1.5 million tablets to date. As per Bloomberg, though one million of these sales had been for RT version, the number was around half of Microsoft’s initial expectation.